Ryegrass HorseHage is the original HorseHage having provided consistent reliability and quality for over 40 years. It is made from the same selection of ryegrasses as High Fibre HorseHage, but is cut at a slightly earlier stage of growth to provide optimum protein and energy levels. It is suitable for horses who lead active lives - those in work, who need a little more from their forage. Also great for hunters, heavy horses, youngstock and breeding stock. 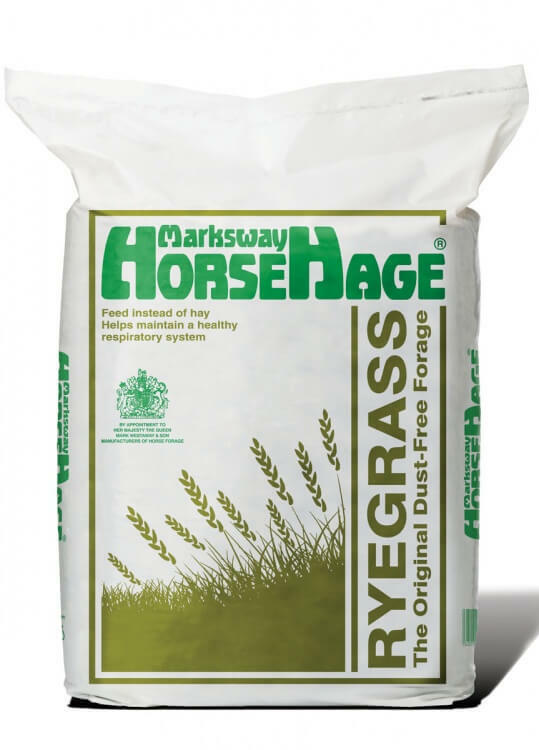 HorseHage Ryegrass is known by many of our customers as ‘HorseHage Green’ because of its bag colour. HorseHage Ryegrass is usually pale gold in colour, but some batches may retain a green colour at the end of fermentation which will then mature gradually to gold. It has a finer texture than High Fibre HorseHage and a distinct, sweet aroma.